The Las Vegas-Henderson-Paradise metro area, often referred to simply as Vegas, is located in southern Nevada, and is one of the largest tourist destinations in the world. Las Vegas is the biggest tourist city in America. Over 40 million people visit the city each year from all around the world, making Las Vegas the most profitable city in the country. With all of its giant hotels, and numerous attractions, Vegas has people from countries all over the world visiting on a regular basis. It is expected that in the next 20 years the immigrant population in Las Vegas will makeup nearly 40% of the city's overall population. Greater Las Vegas is the largest MSA in the state of Nevada, and the city itself is also the largest city in the state as well. The greater Las Vegas area is one of the fastest growing MSA's in America. 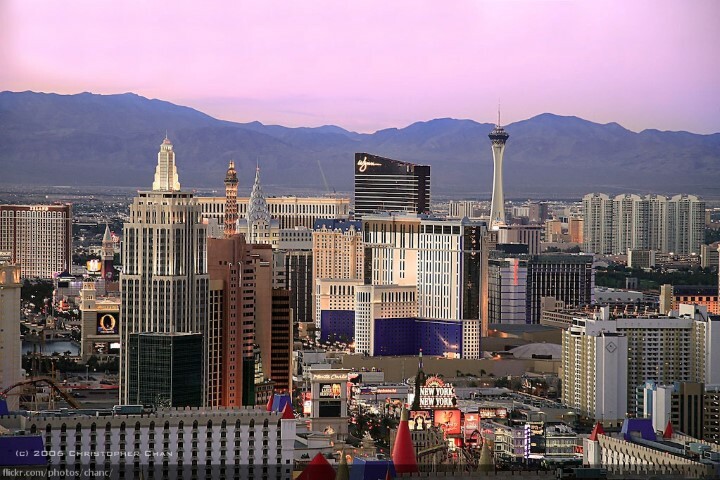 An average of 40 million people visit Las Vegas each year, creating over 103.3 billion dollars in gross domestic product, which is the highest of any city in the United States. It is estimated that as early as 2025, non-Hispanic whites could become a minority in the greater Las Vegas area. 25.5% of Las Vegas residents over the age of five speak a language other than English at home. Both the Asian and Hispanic populations of Las Vegas have almost tripled since 1990, and have grown by over 50% since the year 2000. When viewed from outer space, Las Vegas is the brightest city in the world. The greater Las Vegas area has increased its population by more than 50% in the last decade, and has more than doubled since 1990. Much of this is due to the growth of the immigrant population which has more than tripled in that same time period. Las Vegas is one of the most ethnically diverse cities in the United States. Because of the city's economic boom over the last 20 years, thousands of jobs have been created making the city an ideal destination for immigrants looking for work. Add the fact that the living costs are relatively lower than the surrounding areas, and it is easy to see why Las Vegas has such a fast growing immigrant population. The primary foreign-born people group in Las Vegas is Hispanic. Many of them are migrating from California in search of jobs and reasonable living costs. Over half of the immigrants in Las Vegas are from Latino countries. It is also estimated that by 2050 the Latino population will more than double, which would make it larger than even the white population in the city. The next largest, and fastest growing ethnic group is Asians. Since 1990 the Asian population in Las Vegas has grown by over 260 percent. Similar to the Latino's, the Asian population is expected to double by the year 2050, making it one of the largest people groups in the area. Combine these statistics with the fact that the city sees millions of foreigners every year as tourists, and Las Vegas becomes a prime destination for gospel work among people from other countries. Displaying 1-25 of 40 results. Immigration and Ethnic Diversity in Nevada- A great article for detailed information on the Ethnic makeup and immigration statistics of Las Vegas.